Who exactly are Macklemore and Ryan Lewis? Well for starters, they’re one of the fastest growing musical collaborations in the business, and have one of the most popular hip-hop tracks of last year. Macklemore (Ben Haggerty) has been independently producing music since 2000 where he gained a large online fan base -like so many other unsigned hip-hop artists of recent memory. 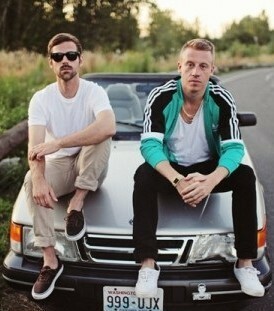 Ryan Lewis came into the picture shortly after 2005’s Language of My World had been released. 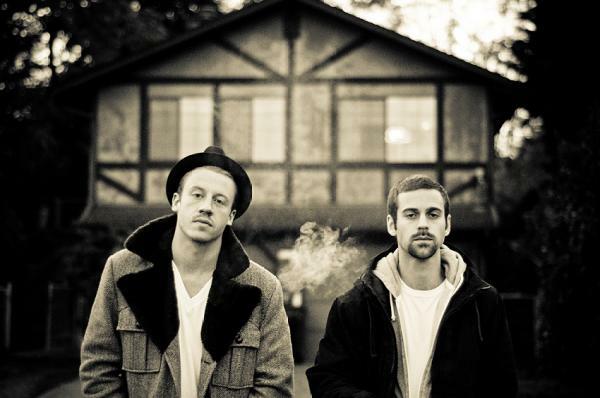 The two formed a collaboration in 2008 where Macklemore raps, and Lewis conceives the instrumentals, album covers, and directs the music videos. But why the sudden success? How did they go from their independent roots to international fame seemingly overnight? Quite frankly, the intensely popular single “Thrift Shop” is what brought them to stardom. With the single’s catchy beat, amusing lyrics, and zany hook, it managed to sell over 2.2 million copies. The single topped out at the number 1 spot of the Billboard Hot 100 list, and was soon followed by the duo’s debut studio album The Heist, which claimed possession of the US Itunes number 1 album slot just a few short hours after it’s release. The album focuses on a variety of things such as political issues, personal problems, and the duo’s journey to the fame they have now. Macklemore and Ryan Lewis really hit the nail on the head with this debut album. However, without the hugely successful “Thrift Shop” to pave the way, their sudden rise to fame would have gone a lot slower. I see a very bright future for the two as one of the next big hip-hop artists. Christian Louboutin, who started designing shoes and handbags in France in 1991, came upon the red sole idea kind of by mistake. While he is one of the pioneers credited for bringing back the high stiletto heel is the 1990s and the 2000s, he wanted to do something different. He felt that his shoes lacked a unique style or statement. I have heard that song so many times, but it still doesn’t make me want to switch the TV channel. These guys are so funny. I think its awesome how people can create a fan base online and then become HUGE overnight. I had no idea where Thrift Shop came from where I heard it, but I knew I loved it! I was one of those people who after hearing the song, I wanted the whole album to see what else they could do. Hopefully they stay smart and find a way to top Thrift Shop.